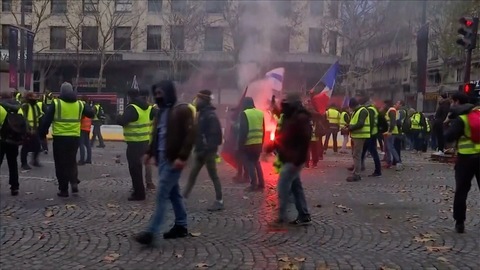 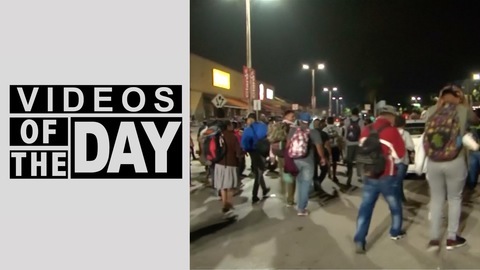 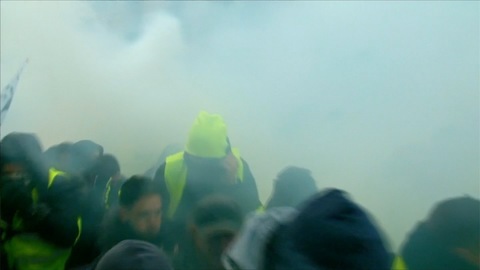 "Yellow vest" protesters clashed with police numerous times on Saturday (December 15) as the fifth Saturday of sometimes violent anti-government protests raged on. 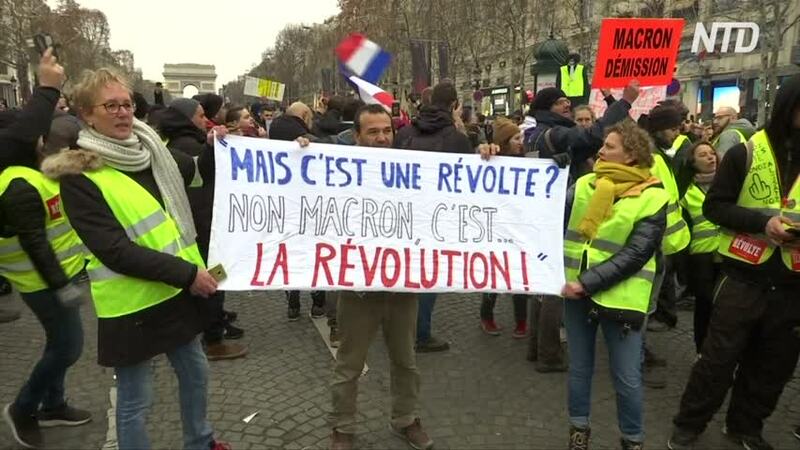 Thousands of protesters took to the streets of French cities on Saturday as part of the nationwide movement that started in mid-November. 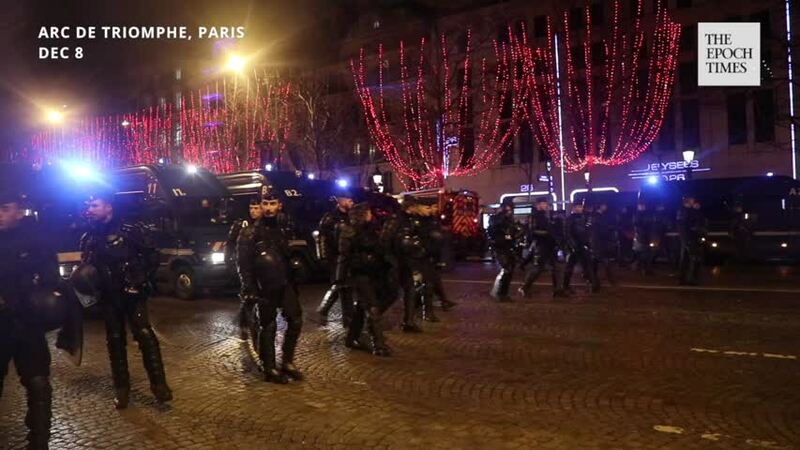 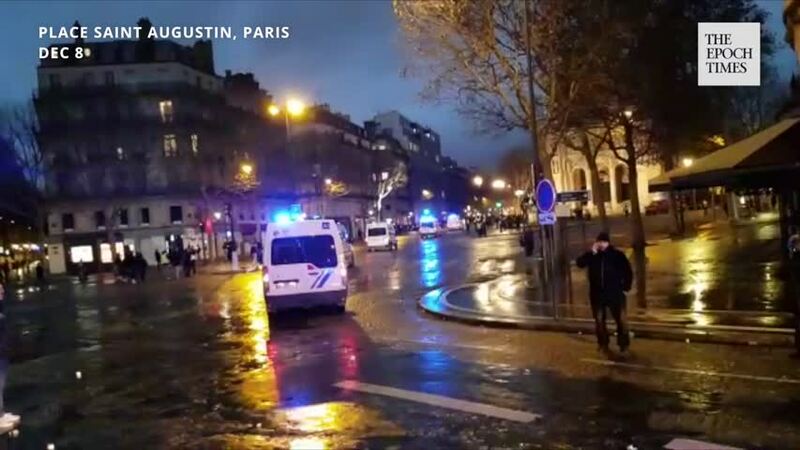 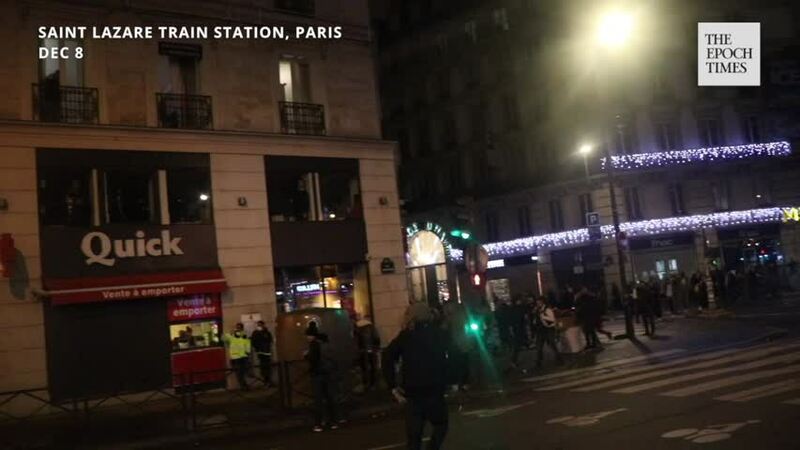 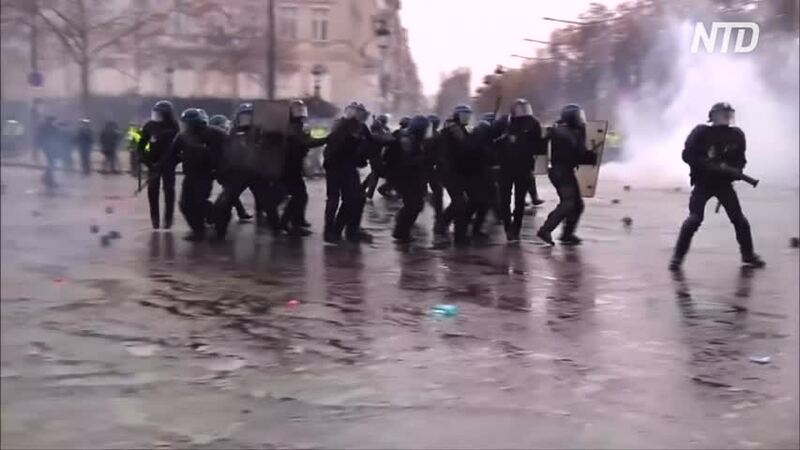 In Paris, police were out in force to contain outbursts of violence. 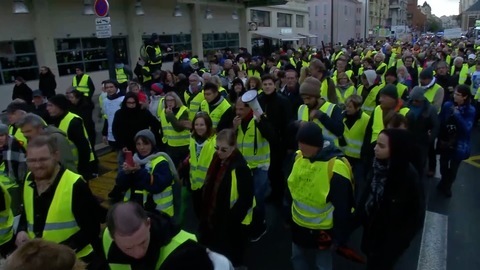 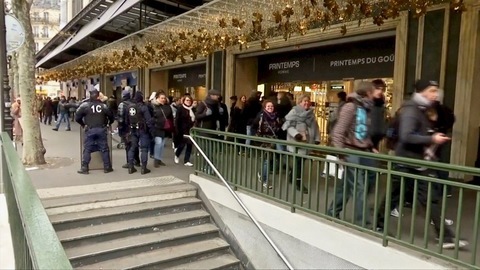 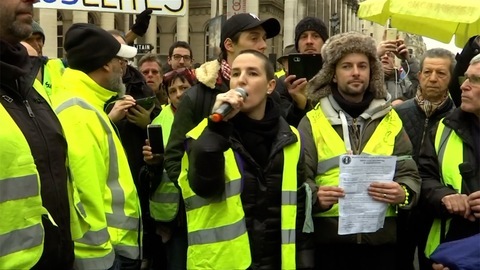 But the demonstrations were noticeably smaller than in previous weeks, possibly a response to the Strasbourg attack or to the cold, rainy weather. 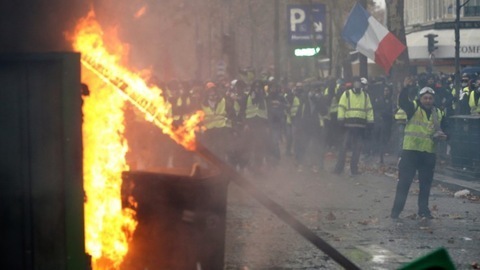 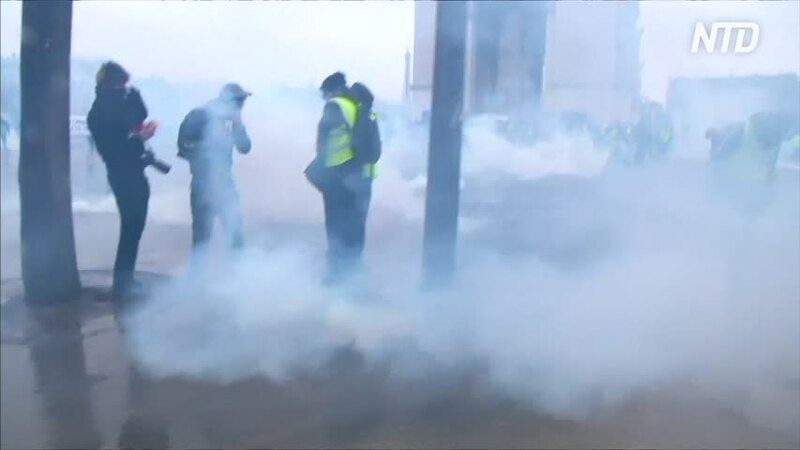 More than 2,000 protesters marched in splintered groups in several neighbourhoods of the French capital, and at least 148 were arrested by mid-afternoon, according to a Paris police official. 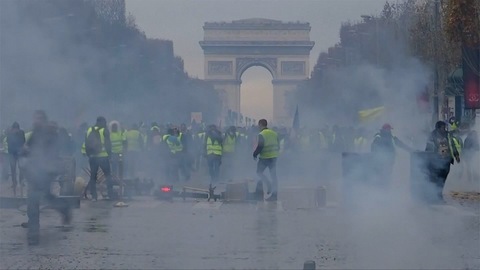 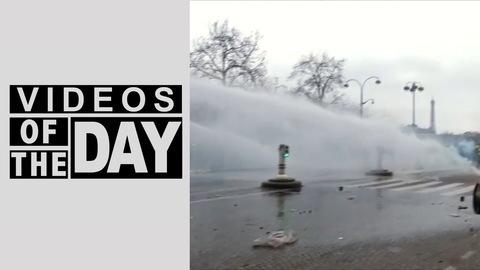 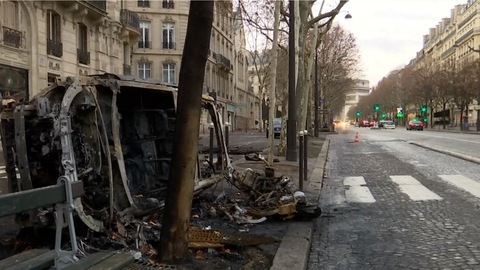 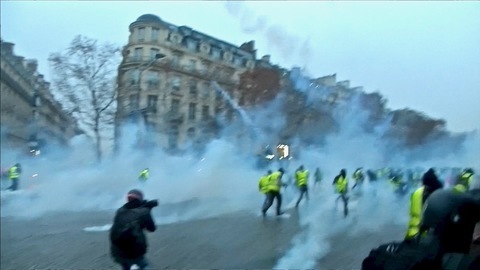 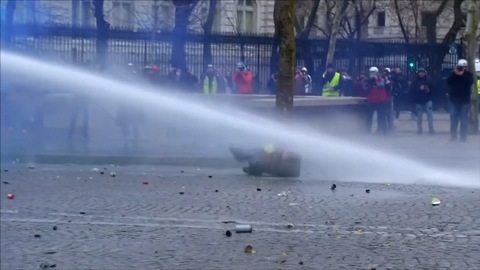 Police fired water cannons and tear gas in the afternoon to disperse groups of protesters in sporadic, brief clashes with riot police on the Champs Elysees and adjacent streets. 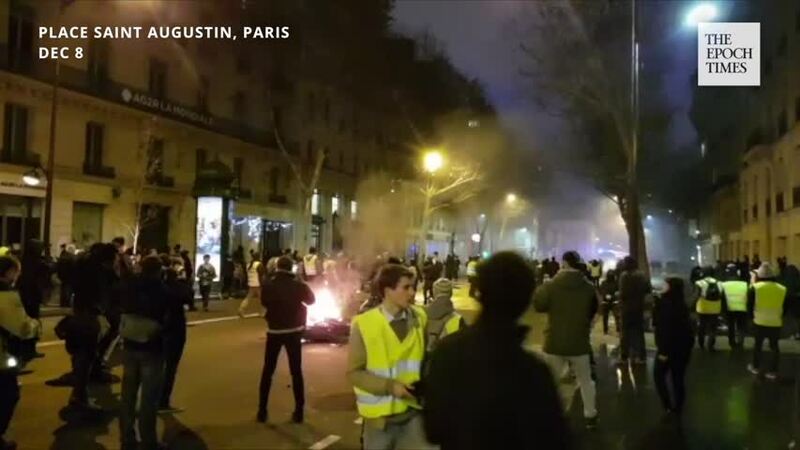 According to official figures, 33,500 protesters had been counted in France by 1300 GMT compared to 77,000 at the same time on Dec. 8.